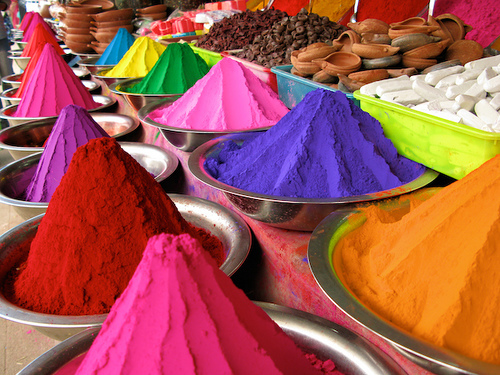 Holi, also called the Festival of Colors, is a popular Hindu spring festival observed in India, and many other countries around the world. 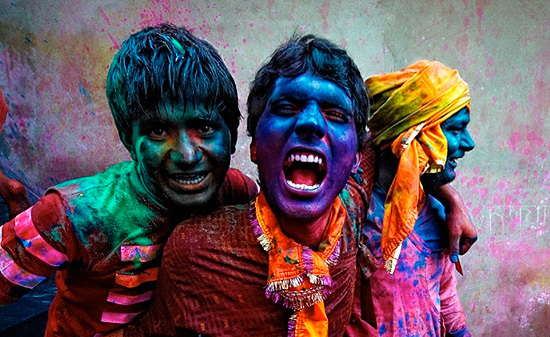 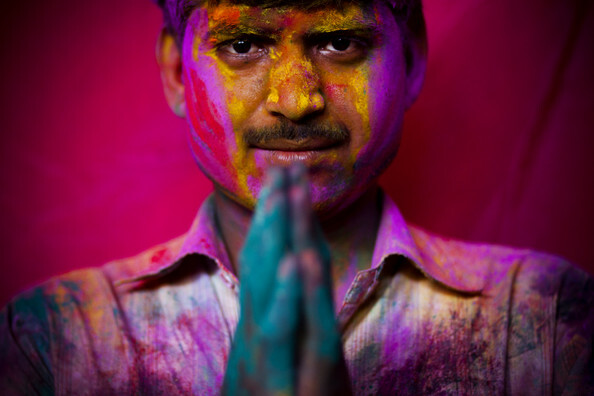 Holi, is celebrated by people throwing colored powder and colored water at each other. 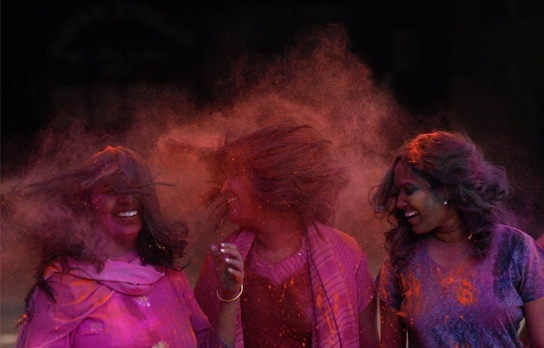 Bonfires are lit the day before, also known as Holika Dahan (death of Holika) or Chhoti Holi (little Holi). 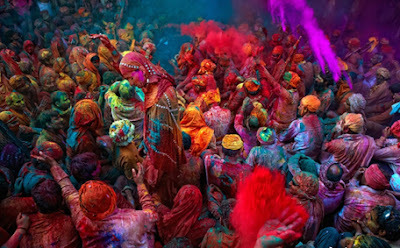 Holi is celebrated on the full moon day in the month of Phalugna which usually falls in the later part of February or March.